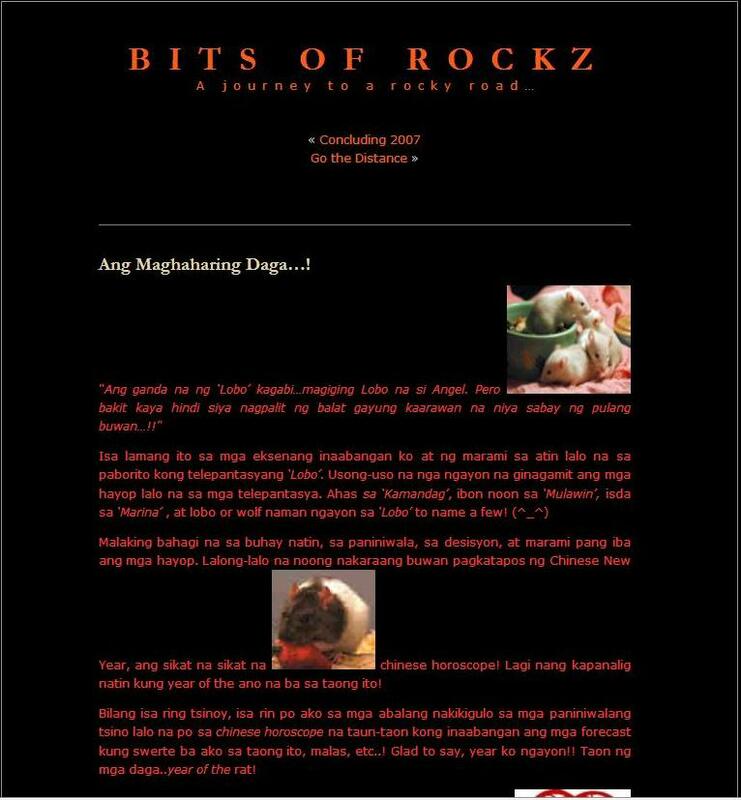 After my Friendster blog site "Bits of Rockz" became inactive since May 29, 2008, it gave birth to a famous blog now known as the "Bits of Rocks," the so-called Rocky's All-In-One Personal Blog! March 2008 marked the birth of The Rock Land. Since at first, it wants to be the continuation of the "Bits of Rockz", it was named as "Bits of Rocks II". But you may observed that z was changed to s as in Rockz changed to Rocks! But still roman numeral 'II' was retained to signify the second or part two of the defunct site. Of course the subtitle description "A Journey to a Rocky Road" was retained! Later, the roman numeral II was removed! 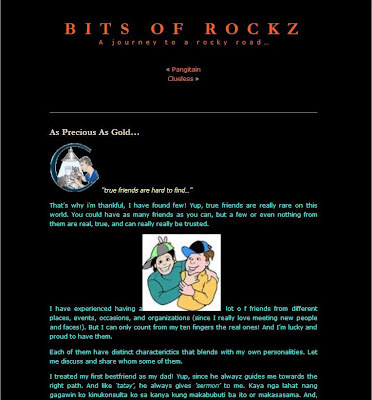 It was then called as "Bits of Rocks" to signify that this is now Rocky's main official blog site! 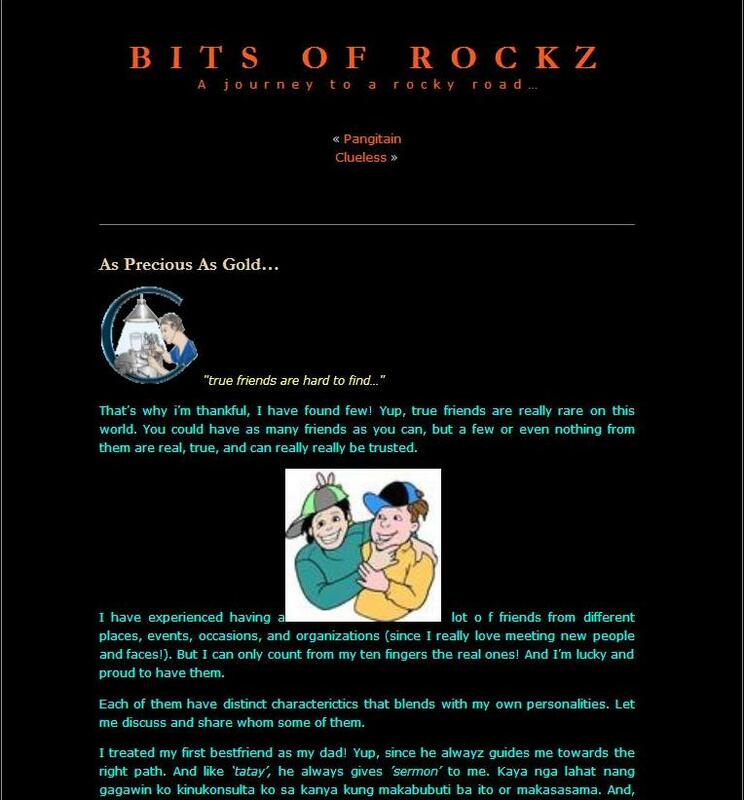 The first posts in "Bits of Rocks" were my three hit literary articles way back in college which were my poems "Rocky" and "The Lord is my Rock"! Of course my unpublished short story entitled "Pangitain" was also included! Not only these, my other hit posts from "Bits of Rockz" like "As Precious As Gold", "Ang Maghaharing Daga", "Makita Kang Muli" and my Sony Bravia story which was renamed as "Rocky De Bravia" were all duplicated or republished here! Time passed by, "Bits of Rocks" started to published its own post. In 2008, it was served as a commercial site. But when my ads weaken, the site itself became inactive! Until in April 2009, when I got my inspiration, "Bits of Rocks" once again bloomed! Fresh new articles and features were published regularly. It even attracts more advertisers. But still, it was dedicated to me! The personal blog site of Rocky! Eventually, the title "Bits of Rocks" was transformed to "The Rock Land"! But its original URL which is bitsofrocks.blogspot.com remained as is! The 'bits' now grow into a big 'Land'...! Yup, that is the reason. Since "Bits of Rocks" covers more and more features and posts from personal, lifestyle, entertainment, designs, pets, humor, and any other things under the sun, why should I maintained to call it as bits since it now grew and developed?! Until it was finally renamed as "The Rock Land". It's about all that cover and surround Rocky...like living in the Rocky's Land! And of course the subtitle description also evolved! "Discovering Each Bits of Rocks" now defines The Rock Land! It's because every time you visit The Rock Land, it's just like you are discovering new things...you discover things from the bits of rocky! 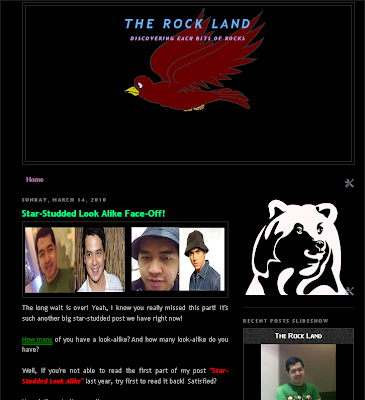 From April 2009 to March 2012, The Rock Land is everybody's favorite blog site! More and more visitors came! More hits were generated! And of course, my followers and fans gradually grow! Thanks to all of you! =) The Rock Land conquers them all! Even in Facebook, The Rock Land is a sure hit! Friends and unknown people keep on subscribing and responding! Truly, this site travels so far and will travel more farther...! But in March 2012, the name "The Rock Land" was revert back to its original name, the "Bits of Rocks." It is because, "Bits of Rocks" is more remarkable, more striking, and more captivating! And of course, I want to stick to where this blog was first known! In January 2015, "Bits of Rocks" obtained its own domain name. It is now www.bitsofrocks.com. The coverage of "Bits of Rocks" becomes wider and stronger. From the tagline of "Rocky Batara's Personal, Lifestyle, and Celebrity Blog," to now's "Rocky Batara's All-In-One Personal Blog" since it covers everything! It is the mother of all the Rocky's blogs! All of my blogs started and emerged here! 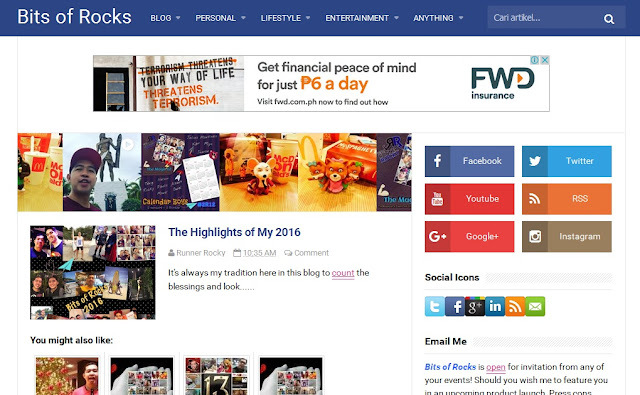 Without this blog, definitely, there's no TV Series Craze, The Lifestyle Portal, and Runner Rocky today!